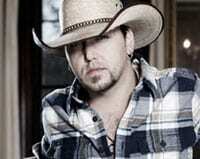 Broken Bow’s Jason Aldean’s current chart-topper, “She’s Country,” has been certified gold by the RIAA for having sold more than 500,000 digital downloads. “She’s Country” is also spending its second week at the top of the country chart, and is the fastest rising single of his career to date. Over the last few months it has been the most streamed country song on MySpace, one of the most downloaded country songs of the year and the No. 1 ringtone in all genres. In other Aldean news, the singer will host his annual Jason Aldean: Concert For The Cure June 12 during CMA Music Festival at the Wildhorse Saloon to benefit Susan G. Komen For The Cure. Following his stadium performance, Aldean will invite a few special guests to join him for a late night concert that will also feature a silent auction with items from some of country music’s biggest stars. Fellow Georgia-native Luke Bryan is the first guest performer to be added to the lineup. Tickets are available through www.jasonaldean.com and Ticketmaster. 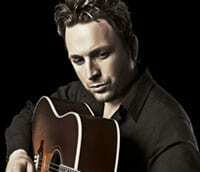 Canadian country star and reigning CCMA Top Male Artist Johnny Reid’s latest album, Dance With Me, has been certified Platinum (80,000 in sales) eight weeks after its March 10 release. Dance With Me has remained in the top-3 on the Canadian Country Sales Chart, spending three consecutive weeks at No. 1, according to Nielsen SoundScan. The album also remained in the top-10 on the Top 200 Sales Chart for six consecutive weeks after the album’s release. Leadoff single “A Woman Like You” peaked at No. 2 on Canadian country radio. Capitol artist Eric Church will perform three special shows at Nashville’s Rutledge During the CMA Music Festival, June 11-13. Each performance will feature Church presenting his music in some new ways. The June 11 “Stripped” performance offers a chance to see Church and his band perform acoustically. Likewise, at the June 12 “Deconstructed” event Church will let his fans see behind the songwriting curtain. Accompanied by his co-writers, Church will break down each song musically and lyrically and discuss the songwriting process. Finally, the June 13 “Requested” show will feature a set list made up entirely of fan requests. Beginning May 11, fans will have a chance to vote on songs they would like to hear. Church will also perform at the CMA Music Festival’s Daytime Stage at Riverfront Park on June 12. For anyone who’s been looking all over town for Whisperin’ Bill Anderson, he’s up in the Great White North! The venerable singer/songwriter is in the middle of a Canadian tour that includes appearances from Ontario to New Brunswick to Nova Scotia to Prince Edward Island. In what is being billed as A Night With A Legend, the Country Music Hall of Famer will deliver 11 shows in 12 days while offering audiences a close-up view of his legendary career through his songs and the stories behind them. Capitol’s Lady Antebellum packed a powerful message about paying it forward into the video for their current hit single, “I Run To You.” Now, the trio has partnered with Brita’s FilterForGood campaign and is asking fans to visit the band’s website (www.ladyantebellum.com) to post examples of how they pay it forward in their own communities. Lady A will be reading through the stories and giving away some cool prizes along the way. The band’s self-titled debut album has held its place on iTune’s Top 10 Country Albums for over a year since it’s debut last April. Big Machine’s Jack Ingram will join some of Texas’ best songwriters for a roundtable discussion on the impact of songs and their creation for an upcoming article in Texas Monthly magazine. Editor John Spong will bring together a roundtable panel including country hitmaker Ingram, Grammy-winner Guy Clark (“The Randall Knife”), folk avatar Patty Griffin (“Let Him Fly,”), Texas troubadour Robert Earl Keen (“The Road Goes On Forever”) and Songwriter Hall of Famer Sonny Throckmorton (“Why Not Me”). In its third annual outing, the Stagecoach Country Music Festival, held in the high desert country of Indio, California on Saturday and Sunday, April 25-26, had its most successful year yet. The festival, which featured some of the top names in country and Americana music, joins the ranks of major U.S. festivals after attracting more than 50,000 music fans a day. Headliners included Brad Paisley, Kenny Chesney, Reba and Kid Rock, along with more than 30 additional acts.